In addition to its own broadcast setups throughout the Mercedes-Benz Stadium in Georgia, CBS also incorporated the massive LED “halo” display installed in the stadium’s roof to enhance its broadcast. The LED ring is 58 feet tall and 380 feet in diameter and suspended just inside the “aperture” movable roof opening. The custom engineered display is used to showcase live video feeds from the field, scoreboards and other game data and advertising to the 70,000-plus people the stadium can hold when configured for American football. In addition, the stadium also feeds “branded” and “topical” graphics to ribbon — as well as the more traditional LED ribbons that ring the upper and lower suite levels. 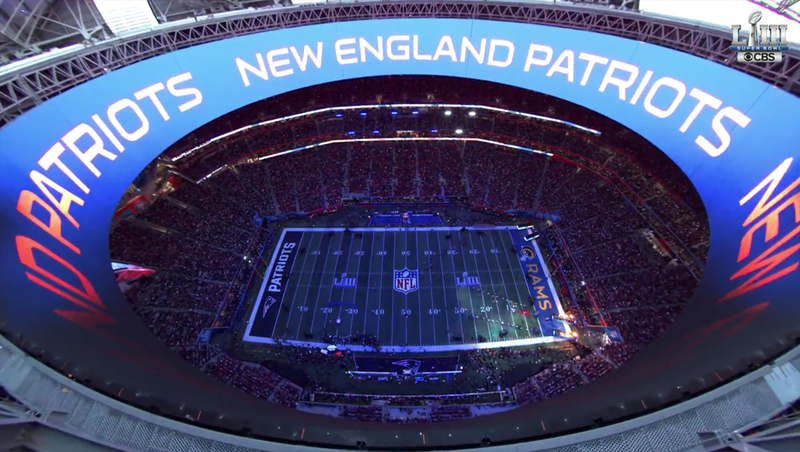 During the Sunday, Feb. 3, 2019, broadcast of Super Bowl LIII, CBS cut to cameras aimed in the halo that impressively showcased the LED ring and its graphics, such as when each team was introduced. 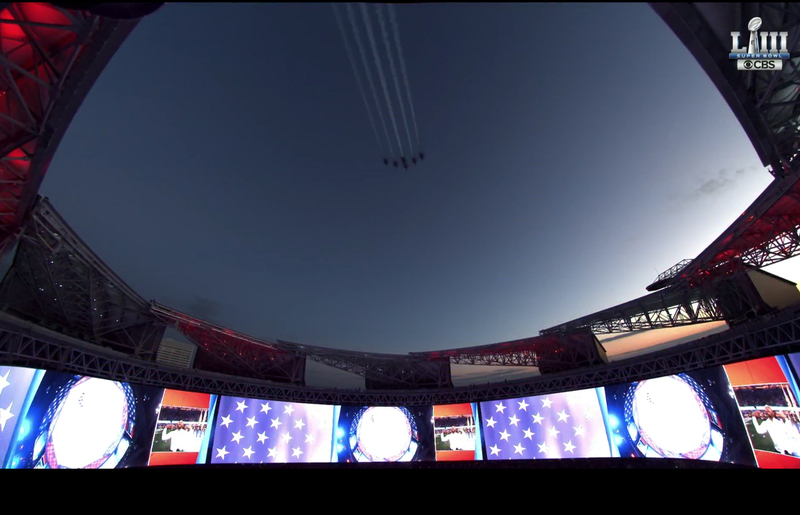 In addition, cameras lower down captured the ring of LED while showcasing the sky — and fighter jet flyover — above.